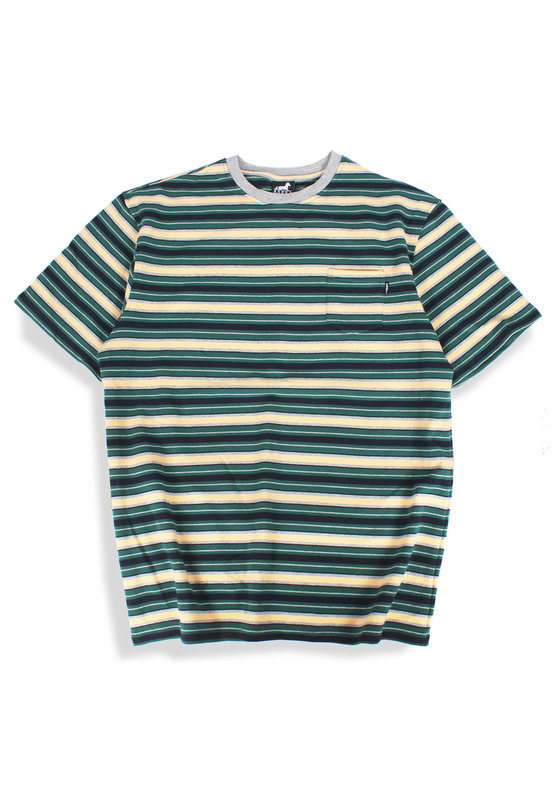 Agora Green Striped Pocket Tee. Generously sized, heavyweight t shirt made from cotton jersey. Regular fit shirt.